WET: Brisbane, the capital city of Queensland, is midway up the east coast of Australia. With the Gold Coast to the south and the domestic and international airports, Brisbane is an ideal headquarters for an Australian holiday. 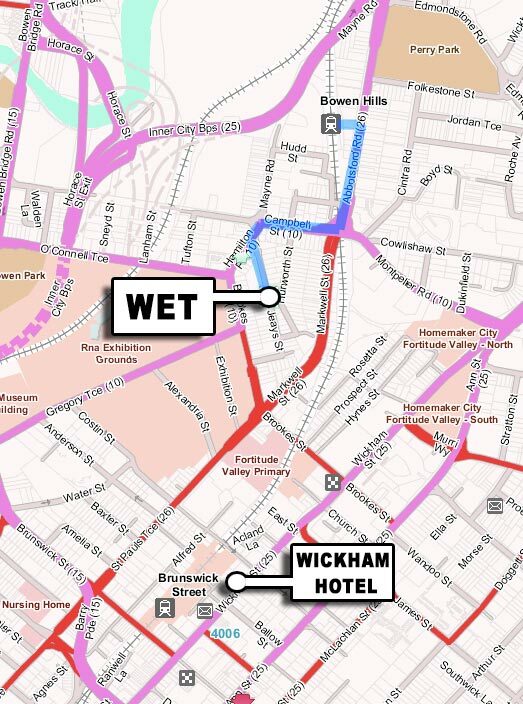 WET is located just a couple of minutes from the heart of the C.B.D. by car, taxi, bus or a stroll from the Bowen Hills Railway Station.